Israeli-American clarinetist Guy Yehuda is recognized as one of the most outstanding and unique talents on the international concert stage today. He was the top prizewinner of several international competitions such as the 2003 Heida Hermanns International Woodwind Competition, and the 2004 Fischoff Chamber Music Competition (Gold Medalist as a member of Trio di Colore.) Since his North American Concerto debut with the Royal Conservatory Orchestra and conductor Peter Oundjian, Mr. Yehuda has toured extensively in Europe, North America, and Israel. 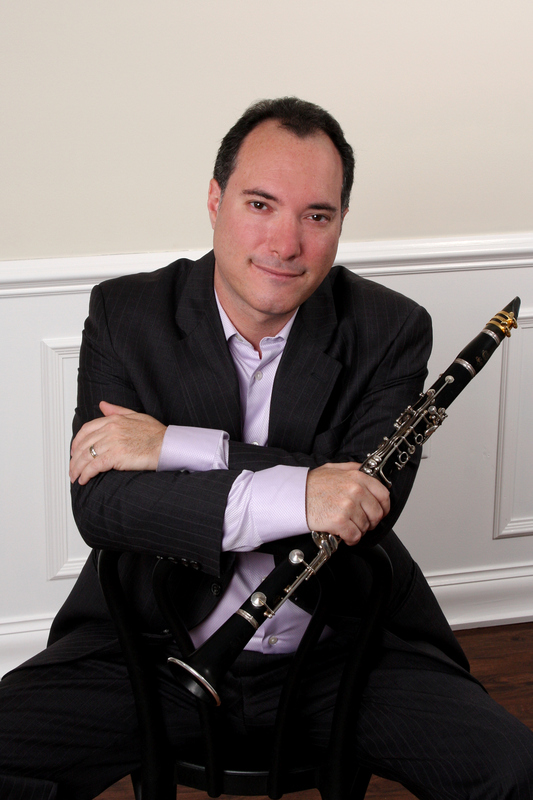 As principal clarinetist, Mr. Yehuda has performed with the Lucerne Contemporary Festival Orchestra, Chicago Civic Orchestra, Spoleto Festival Orchestra, Haifa Symphony Orchestra, and Cincinnati Chamber Orchestra, among others, as well as guest clarinetist with the Israel Philharmonic, Chicago Symphony Orchestra and the Jacksonville Symphony Orchestra. Mr. Yehuda performed on European and American tours under the batons of top conductors including Pierre Boulez, Zubin Mehta, Kurt Masur, Kent Nagano, Yuri Temirkanov, Giuseppe Sinopoli, Sir Andrew Davis, Kurt Sanderling, Roberto Abbado, Cliff Colnot, Fabio Mechetti, Peter Oundjian, and Daniel Barenboim. He performed and collaborated with the world’s top composers and performers such as Pierre Boulez, Steve Reich, John Corigliano, George Benjamin, Menahem Pressler from the Beaux-Arts Trio, and the Borromeo and Cypress String Quartets to name a few. An avid contemporary musician, Mr. Yehuda frequently premieres new clarinet concerti and solo works written for him by renowned composers such as Haim Permont, Gary Smart and Jim Stephenson to name a few. As a musician in high demand, he has performed as a soloist and chamber musician at festivals such as Spoleto (USA), Verbier, Lucerne (Switzerland), Vianden, Ottawa ChamberFest, Parry Sound, Domain Forget (Canada), Fountain Arts Concert Series, and the Israeli Chamber Music Festivals of Kfar Blum and Haifa. Mr. Yehuda is sought-after as a recitalist throughout North America and Europe. He has performed as a soloist in prestigious halls and venues such as Carnegie Hall, Domain Forget, (Canada), Chicago Symphony Hall, Palacio Fuz and Casa di Musica in Portugal, Mann auditorium in Tel Aviv and Dame Myra Hess Chamber Series to name a few. He is a particularly active chamber musician and tours extensively with the award winning chamber music group: Trio di Colore (with Yuval Gotlibovich-Viola and Jimmy Briere-Piano) of which he is the founding member. Mr. Yehuda has appeared numerous times as a guest artist on CBC Canadian Radio, Radio-Canada, NPR, WFMT Chicago, KUHF Houston, DRS Swiss Radio, Portugal National Radio, and Israel’s Classical radio station, as well as TV appearances on Israel’s Channel 2 and Chicago’s Channel 25. Mr. Yehuda has recorded with Hal Leonard productions, IU New Music Ensemble, and a number of live recordings for the CBC. A recent CD recording by Mr. Yehuda for solo and trio music by French composer Jean Francaix, was released on the XII-21 Canadian Label in 2008 as well as a new CD recording with Albany records in 2009. Mr. Yehuda is an active clinician and has given master classes throughout the U.S, Canada, Mexico, Europe, and Israel. He is a Selmer-Paris and Rico-Reeds international performing artist and serves as an artist instrumental adviser for both companies. With Selmer-Paris, he has developed the new Privilege II clarinet. For the past two years he has been working with Rico-Reeds on the development of the new Classic Reserve reeds. He has frequently been invited to judge national and international competitions, as well as to appear as a soloist at ICA ClarinetFest conferences in the U.S and abroad and the Oklahoma clarinet symposium. Mr. Yehuda has been the artistic director of the Florida Clarinet Extravaganza, and the Cummer Family foundation Chamber Series in Florida. He served for many years as faculty resident at the acclaimed Orford summer festival in Quebec, Canada. Currently he is the clarinet faculty resident at the Vianden and Saarburg summer festivals in Europe. Mr. Yehuda held visiting faculty positions at Indiana University and the University of Virginia, and has been the Clarinet Professor at the University of North Florida. Currently he is the Associate Professor of Clarinet at Michigan State University College of Music. Mr. Yehuda is also a published composer and winner of the prestigious America-Israel composition award, having worked individually with Pierre Boulez, P.Q. Phan, Alexander Rappoport, Yinaam Leef, Haim Permont, and Sergiu Natra. Mr. Yehuda studied with distinguished clarinetists James Campbell, Avrahm Galper, Eli Eban, Yitzhak Katzap and Yigal Cohen, and worked with Charles Neidich, Larry Combs, Howard Klug, and Alfred Prinz. He received his Doctorate and Master’s Degrees from Indiana University Jacobs School of Music, as well as a Performer Certificate, the highest honor awarded to a performer at this venerable institution. Prior to that Mr. Yehuda received his Artist Diploma and Bachelor’s degree from the Glenn Gould Professional Music School at the Royal Conservatory of Music in Toronto.